Many apps help your store and sort information. Yet, the best memory is still your brain. You can misplace your tablet (hope not), but your brain is always with you. So the best way to store information permanently is still your brain. Start putting things in there. This app helps you do this. This app helps you memorize snippet of text - phrases, passages, quotes and other text. We call this a “MemoryByte” in this app (or MemoryBytes for more than one MemoryByte). It doesn't just store the text. Storing the text does nothing to improve your memory. 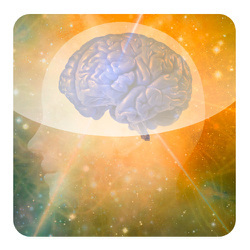 It contains features that help you learn and train your memories. You can even test yourself using the app. And even more great features are planned. It is true that the more you read or go through something, the better you remember something. This app provides an environment that enables this active learning. Store quotes, phrases, other text base information that you want to learn or memorized (which we called "MemoryByte" in this app). The free version of this app permits a maximum of 10 MemoryByte. Organize the MemoryByte into categories of your own choice. Enable you to go through the MemoryByte one by one. Test capabilities. When you think you are ready, you can test your memory using the build-in test engine. 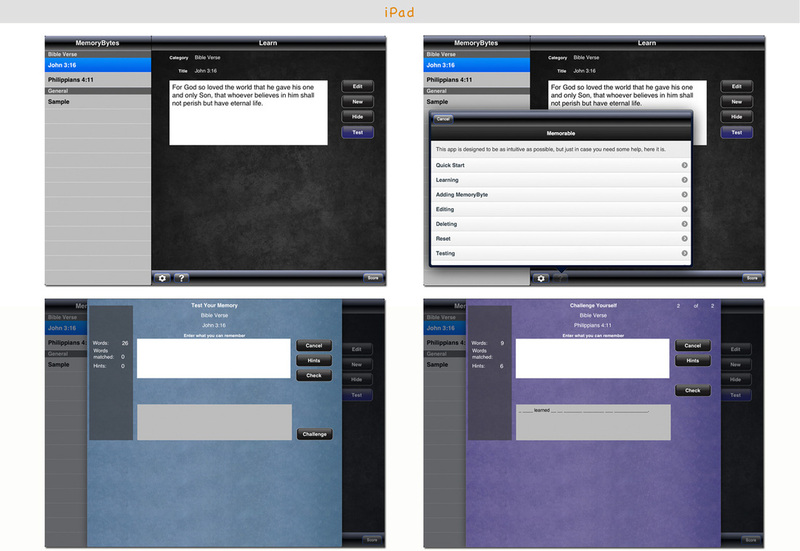 On the iPad, two levels of testing are provides in this version. Feedback of your performance. The test engine compares what you have entered against the MemoryByte and let you know your performance by giving you a score (which is generated by a proprietary algorithm that considers many variables like number of words in the MemoryByte that you remember correctly, number of hints requested, etc).